Gainesville, Florida has so much to offer for a fun filled, outdoor adventure weekend. We had a blast in three days biking, swimming, exploring and of course, eating. Check out our guide on what to do and where to eat on your next adventure to this great little town. 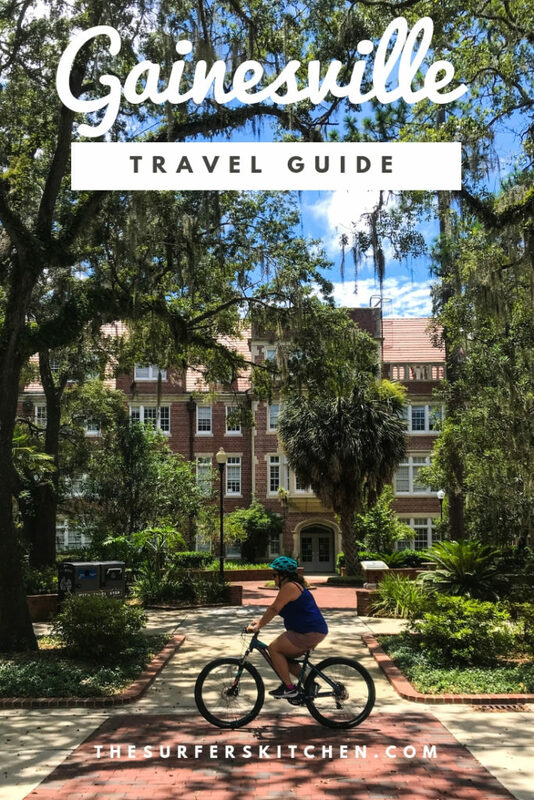 One of my favorite places is Gainesville, Florida, home to the University of Florida, the Gators, and a great little town for active adventures. 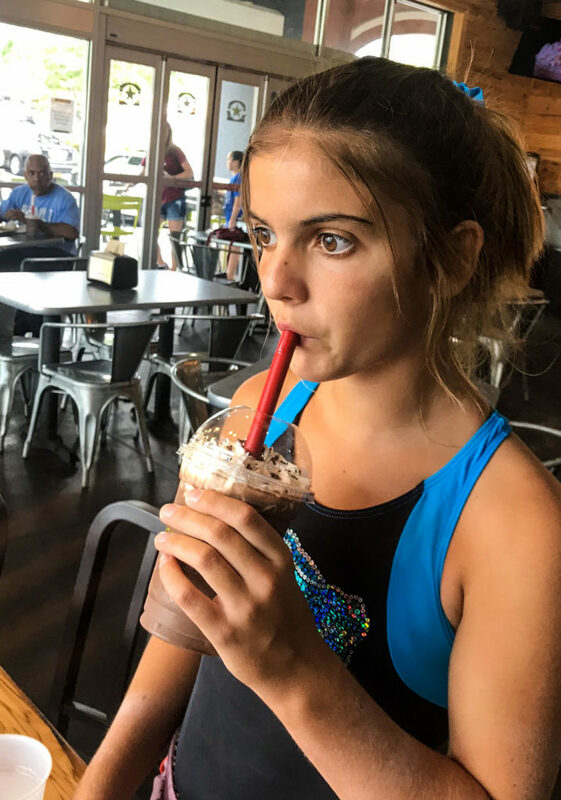 For the past few summers, I have been making trips up to Gainesville for Nova’s gymnastics camp. Camp starts at 8:00 am and ends at 8:00 pm, giving me lots of time to explore the area. This past summer, Sawyer joined me on our adventures and we had such a great time. We fit so much into our three days there–it was awesome. 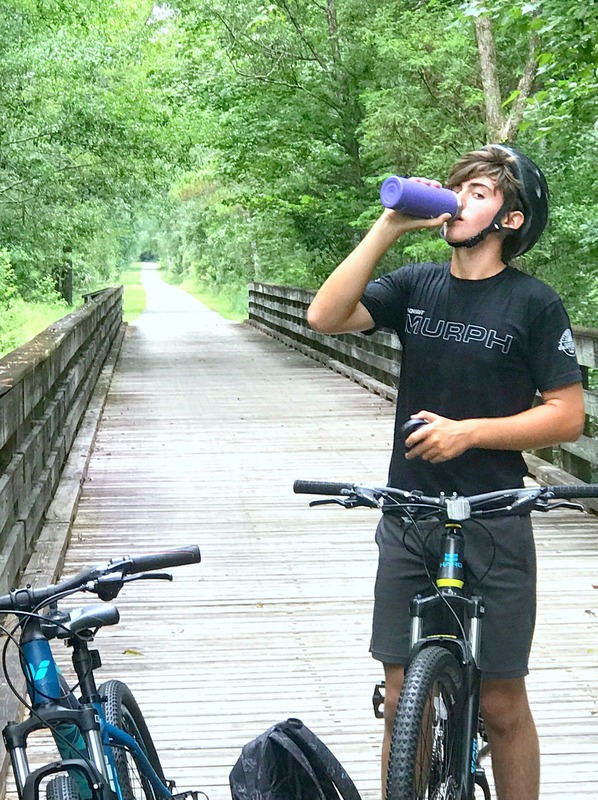 30 Mile bike ride along the Gainesville-Hawthorne Trail. This trail is paved the whole way and runs through the giant Paynes Prarie State Park (a place that is amazing to check out even if you don’t feel like biking through it). 30 miles was the furthest we had ever ridden and we started to feel it. This is not flat Florida. There are hills and steep ones too. Along the trail, we saw a fox, deer, and owl, a small alligator and a few armadillos. It was great. We did get caught in a horrible thunderstorm and weren’t sure what to do but we made it out safely. If you decide to do this trail or even just part of it, make sure you bring water. It is hot out there! Dinner at Dragonfly for the BEST SUSHI EVER. 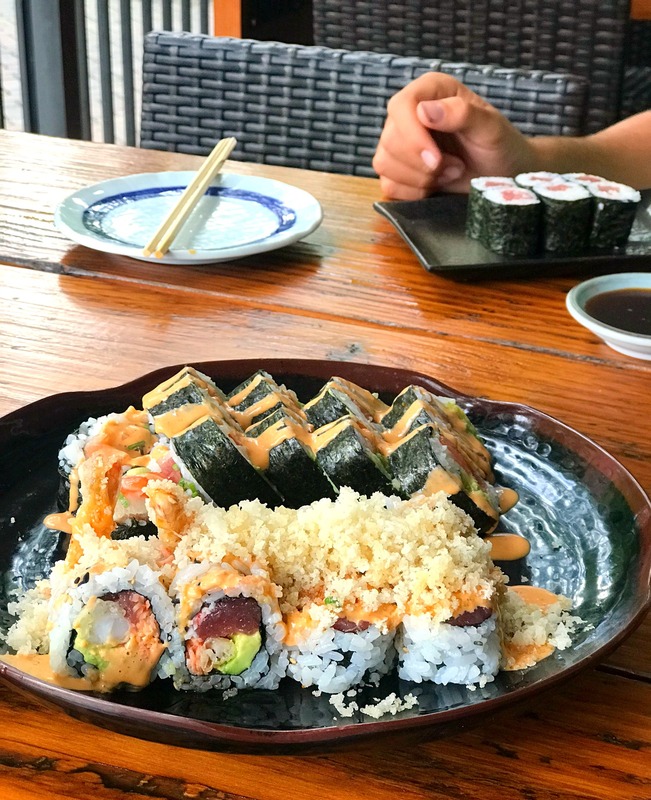 It is kind of hard to say that the sushi at Dragonfly was better than sushi in Hawaii or even Japan….but it might be. Great sushi, great ambiance and an all around great experience. 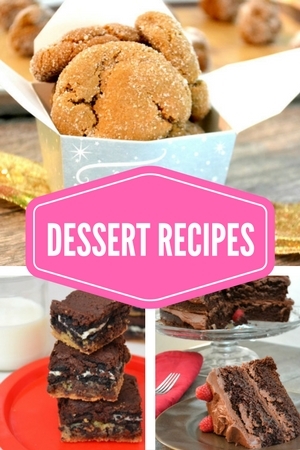 Our favorites? Everything! I don’t think you can go wrong with anything there. Located about 35 minutes north of Gainsville is this beautiful spring fed river that you can go tubing down. 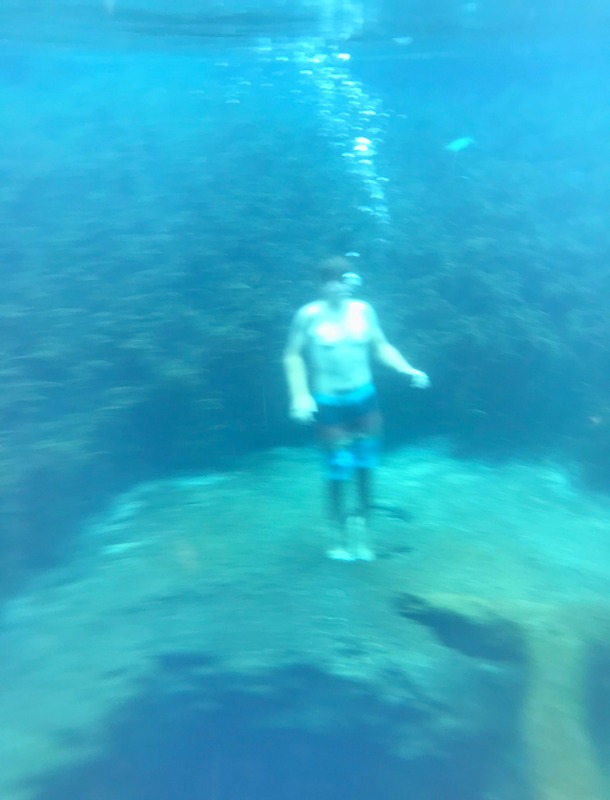 Actually Sawyer and I didn’t get to the springs in time to tube down because they fill up quickly on warm summer days. But, we have been many times before and it is really fun. You can rent tubes either right inside the park or outside the park. If you rent it outside the park, the price is slightly less and they strap it to your car with twine. The price ranges between $5 for a basic tube-$15 for the fancier ones. There are two places to get into the river—at the headsprings or further down the river. If you get in at the headsprings, the ride down is longer. We have only ever gotten in at the place further down the river and it gave us a good three hours of tubing time. The headsprings launch is often the first to get full so you have to get there really early. We got there at 9:00 am and it was already full. 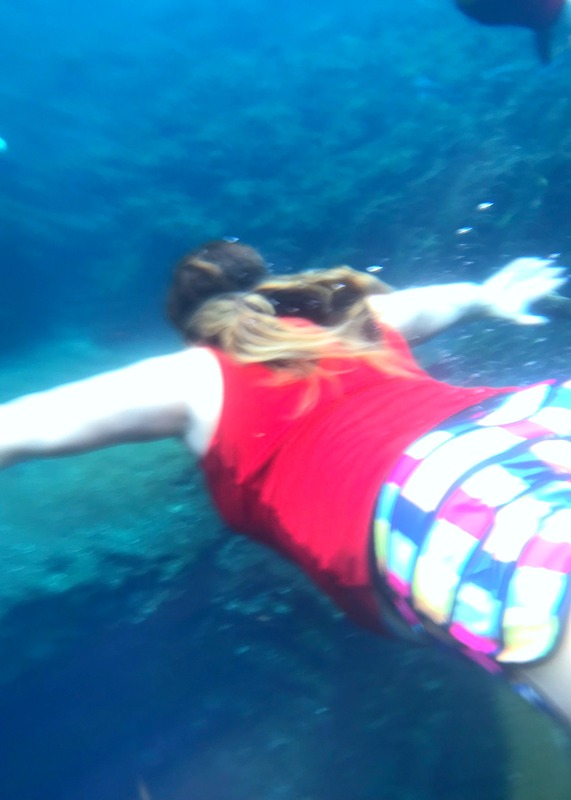 Instead, we explored the blue hole! There is a short boardwalk trail from the main parking lot of the headspring to blue hole. From the platform it doesn’t look like much–just a Florida swimming hole. Once you get in though, it is truly beautiful. Even if you don’t plan on getting in the water, the boardwalk trail to blue hole is worth the short walk. The water is deep, crystal clear and cold (73 degrees year-round) and the bottom is covered in tall sea grass. Towards the center of the swimming hole, is the blue hole. 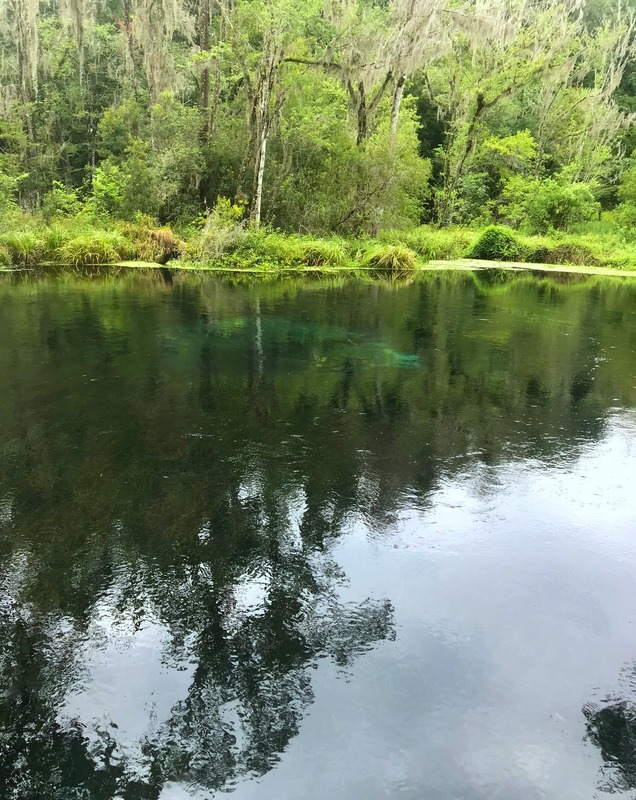 Blue hole is the only magnitude one spring that feeds the Ichetucknee River, releasing an average of 38 million gallons of water per day. The Blue Hole depth is about 40 feet and from the bottom there is a series of caves that adventurous scuba divers explore. Sawyer and I were equipped only with googles and had a great time swimming down as far as we could into the the hole–which for me wasn’t very far at all. The water was just so beautiful and crisp that we didn’t want to get out. After our Blue Hole swim, we checked out a couple of other places in the park, including the main swimming spring near the parking lot and the kayak launch area. Tired and hungry from our adventure, we headed back to Gainsville to check out Public and General, (recommended to us by our waiter at Dragonfly.) It was in an odd place, a kind of neighborhood area and had great outdoor seating. Although Sawyer ordered the wrong thing for a growing 15 year old boy (a tiny portion of ravioli), I really enjoyed my burger and beer. It was definitely a place I would visit a lot if we lived there. 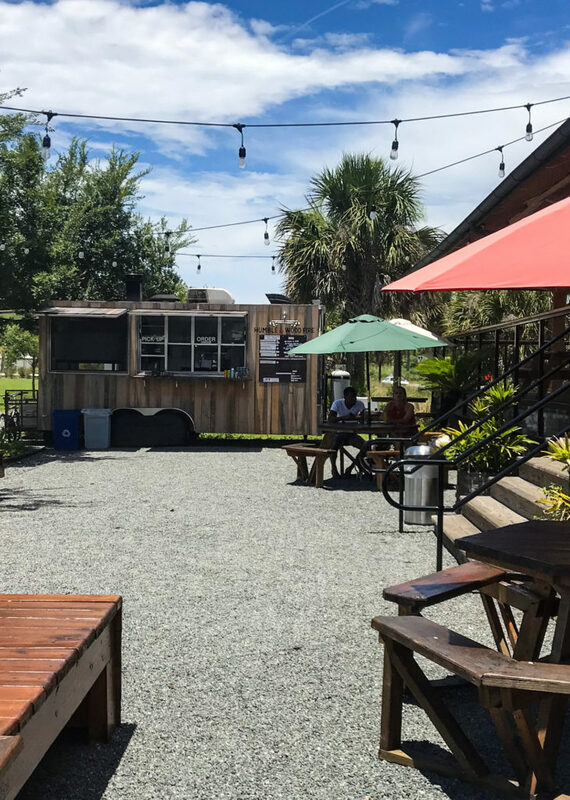 Lots of great beer options, interesting food and great outdoor space. Still recovering from our previous days bike ride, we headed back to our condo for some rest and hang out time. Dinner that night was at The Top. We were warned to get there early as there is always a wait so we showed up around 6:00 pm and there was no wait, although I could tell the place was getting busier. Although I didn’t take any photos, I had the best salad of my life—-greens, grilled haloumi cheese, beets and walnuts. I need to recreate that for my blog. 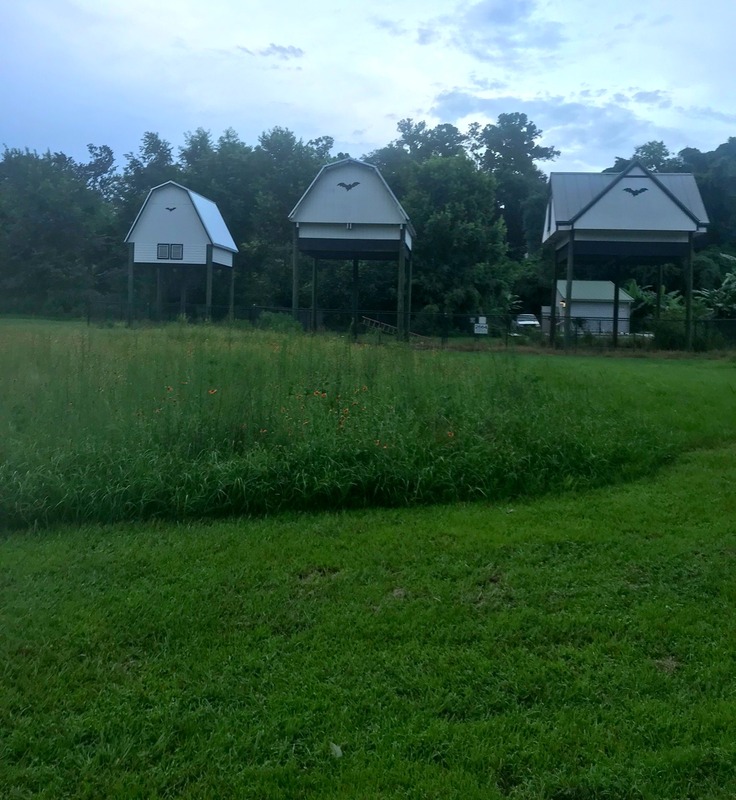 That night, we went to the bat house on the University of Florida campus, to see the bats come out of their roost. It happens just after sunset each night and lots of people line up to watch them come out. Very cool! This is something I always love to do when I am in Gainsville. 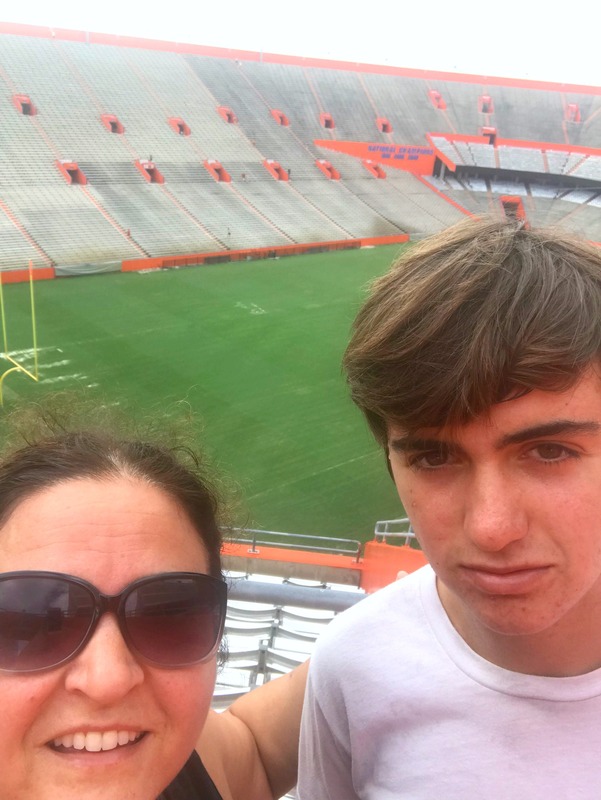 I just think it is so cool that the University leaves the Ben Hill Griffin stadium open for people to use. There are always people in there running, walking, and just working out. All kinds of people–from groups of moms, super fit college kids, football players, to old ladies and men. There is a path that goes all the way around the stadium with lots of water and bathrooms. When I run the stairs, I start at the entrance and run down one set of stairs, run across the bottom and then run up the next row of stairs. It might sound daunting when you look at it–but it actually goes pretty fast. 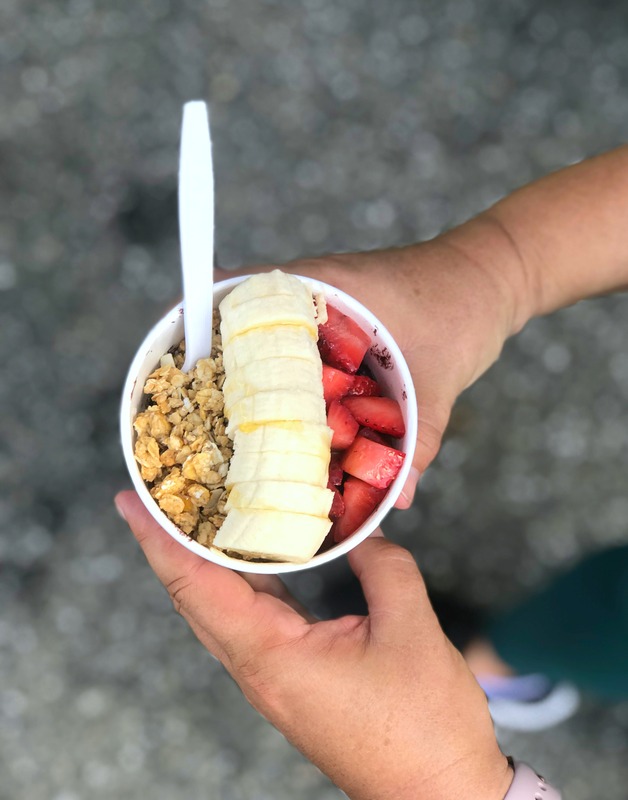 After our run, we stopped at a Kingdom Acai for quick acai bowls before it was time to pack up our room and load our car. We still had some time before the end of the gymnastics camp so we decided to ride bikes around the campus and town. It was definitely one of the highlights of the weekend. In Sarasota, I would never feel comfortable riding bikes around because the bike lanes are a joke, the cars go so fast and there just isn’t a bike culture. However, in Gainseville, at least around the University, there are bike lanes, traffic was very light and you can just tell that the locals are used to bikes. Granted, it was a Sunday, during the summer—the conditions may change when school is in session, but for us it was perfect. We rode up hills, down hills, through neighborhoods and all around the college. It was so much fun. Our biking lead us to Depot Park, which is a great little park, recently restored from what was once a train depot. 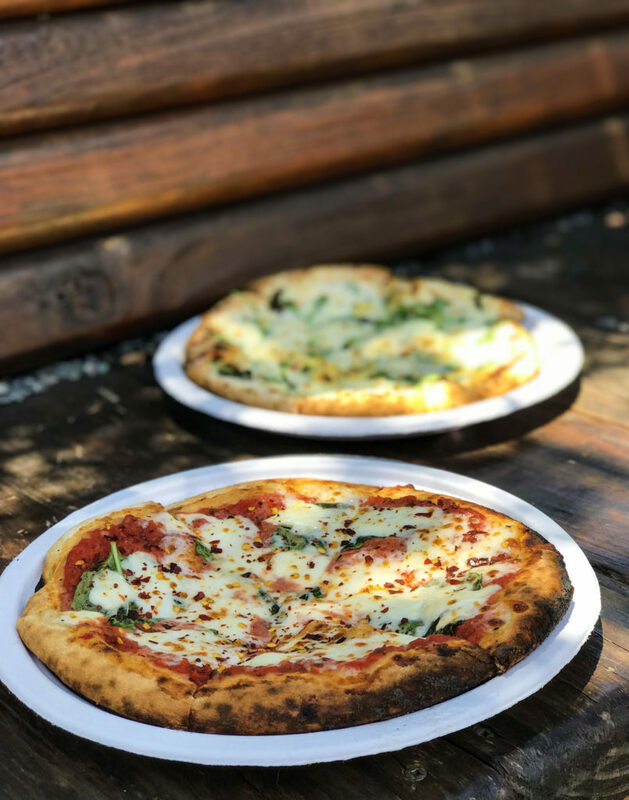 We had some wood fired pizzas there and just sat and enjoyed the day. It was a perfect place to have lunch (doesn’t it seem like we are constantly eating?). Next stop was Karma Cream, or vegan ice cream and treats. 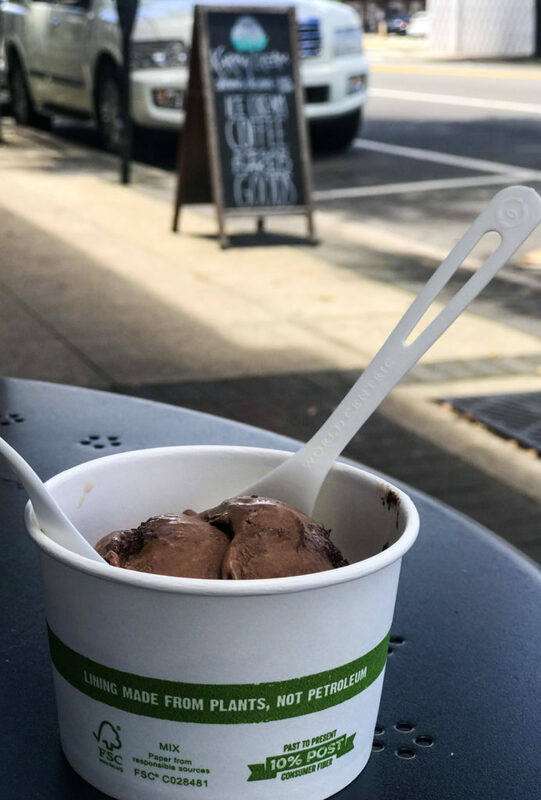 My chocolate brownie scoop hit the spot! Our last stop, after picking up my little gymnast, was Burger Fi. 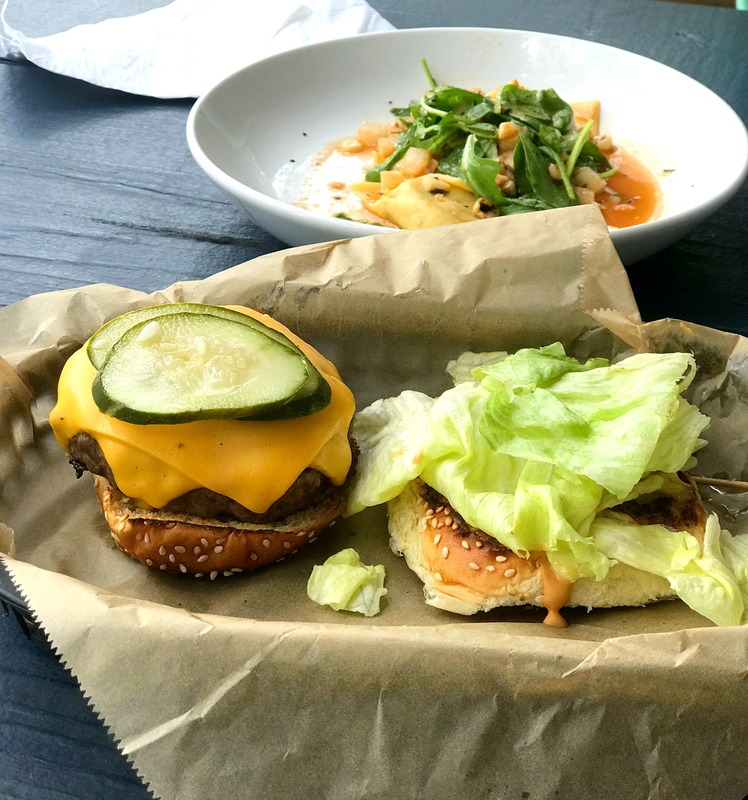 (If you haven’t been to Burger Fi—I recommend it! Gives Shake Shack a run for the money. She was starving after a long weekend of gymnastics and Sawyer was still hungry too. Chocolate milkshakes wrapped up the weekend nicely! 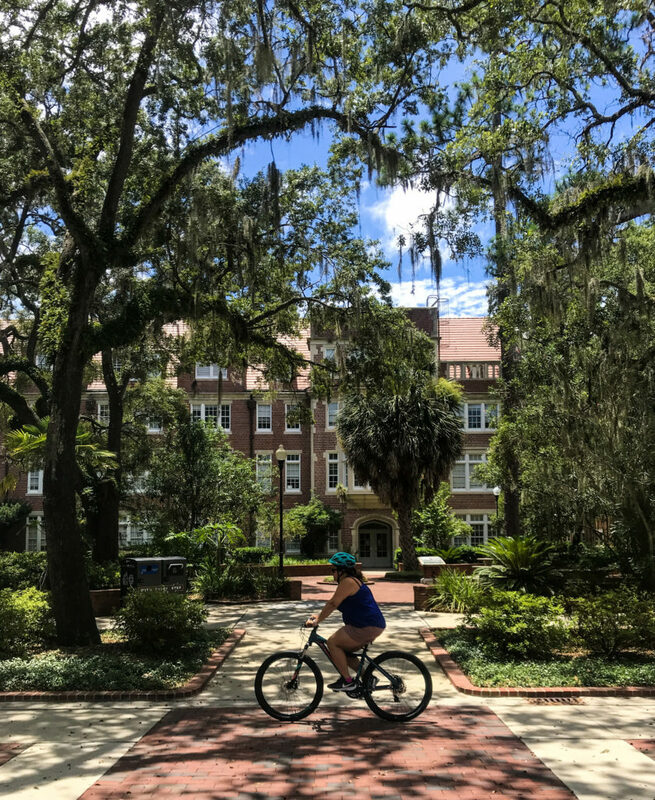 If you are up for an active vacation, check out Gainesville, Florida! There is so much to do there and such great food. We will be going back for college tours and more gymnastics!